On the first visit, it took a bit of convincing, but I was unable to not order the Chicken Pot Pie. 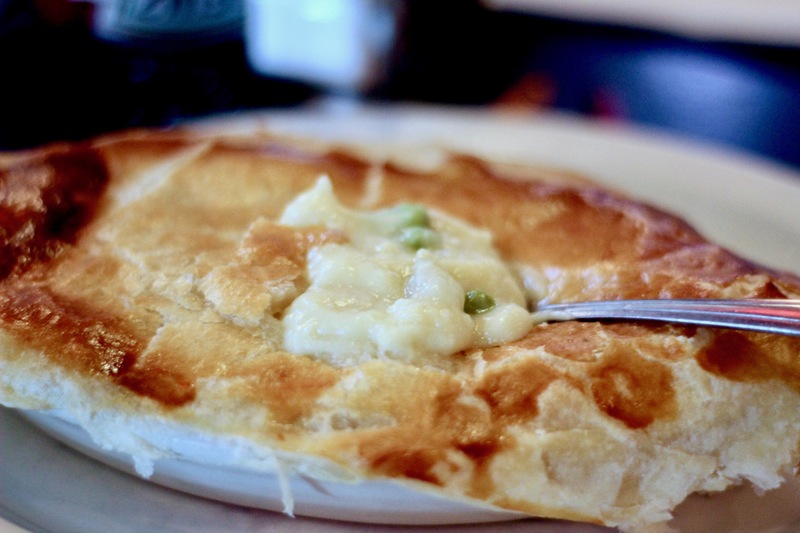 This was partially because I love chicken pot pie, partially because it was only served on Thursdays and mostly because I was told to by my mother, my wife and my waitress. I’m sure if my son could have, he would have told me to as well. It came out just like a chicken pot pie should, with a flaky crust on top and scalding innards. Within the innards were delicious, tender chunks of chicken and gravy that was plentiful and delicious. The view veggies that were in there were manageable, but this wasn’t a veggie pot pie with chicken, it was a chicken pot pie through and through. 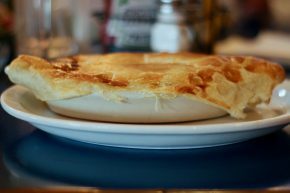 On my return to The Villager Pub (which, admittedly, was not my idea, but I could not argue considering the delicious pot pie I had eaten), I opted for the Great Lakes Whitefish and Chips. 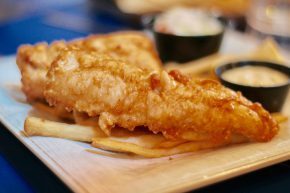 This is a Great Lakes twist on the classic, with whitefish snagged from one of the Great Lakes (well, obviously not Erie) and fried up in a light batter. Some prefer cod, I honestly don’t know that I can tell the difference and am simply happy to know that the fish isn’t fishy. This fish sure wasn’t, and the batter was quite good as well. The fries, or chips as the Great Lakes Brits say, went well with the whitefish. The lesson from The Villager Pub is to not always be so stubborn. Could I have been happier sticking to my usual path? Perhaps, but now I know that you can’t go wrong with Chicken Pot Pie or Great Lakes Whitefish and Chips when you pay a visit to The Villager Pub.